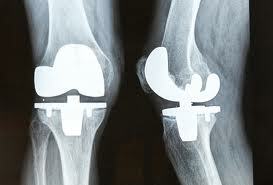 The frequency of total knee replacements remains on the rise. The numbers are staggering as the population continues to age, average weight increases and unhealthy lifestyles take a toll. 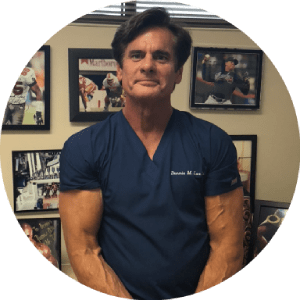 Alternatives to knee surgery and knee joint replacement such as Platelet-Rich-Plasma (PRP) and Stem Cell Therapy are increasingly viewed as viable options. Regenerative Medicine strategies that incorporate Platelet-Rich-Plasma (PRP) and the use of stem cells in the treatment of chronic knee disorders have increased in recent years as more patients desire to avoid knee replacement for osteoarthritis and even avascular necrosis. Knee joint replacement has seen numerous strategies employed to improve the lifespan of a total knee replacement. Unfortunately, those afflicted with osteoarthritis at a younger age or avascular necrosis face loss of function by avoiding treatment for years in an attempt to forestall knee replacement until they get older. Sports injuries, trauma, and even prior knee surgery predispose to early and more progressive arthritis development. Opting for a Regenerative Medicine therapy that focuses on repair and regeneration through tissue healing, makes Stem Cell Therapy in these patients an option to avoid waiting it out until their knee degenerates to the point the have no other option but knee replacement. Future directions for knee osteoarthritis would obviously include preventative measures to avoid arthritis progression early on. Weight control, exercise, dietary modifications, nutraceuticals, and the development of disease modifying osteoarthritis medications will be on the horizon. Gene therapy to control cellular responses, and gene testing to look for predilection for future arthritis will be available. The more advanced use of Biologic therapy is under way to mediate the inflammatory response as current anti-inflammatory medications are ineffective in halting the progression of osteoarthritis. The use of regenerative procedures such as Platelet-Rich-Plasma (PRP) and Stem Cell Therapy may be effective strategies to explore to maintain functional level, prevent arthritis progression, and as an alternative to knee joint replacement.